Inspire yourself everytime you read these sweet sayings. Don't miss out on these four, colorful rotating scenes. This leather cover features some of your favorite Muppet characters. Join in the revelry with Kermit the Frog, Miss Piggy, Gonzo, Fozzie Bear and Animal. Wine and Grape Labels - These classy Labels are certain to catch everyone's eye. Experience the power of a vineyard with these absolutely gorgeous personal label designs. Don't miss your chance for a glass of wine! Wine and Grape Checks - These classy checks are certain to catch everyone's eye. Experience the power of a vineyard with these absolutely gorgeous personal check designs. Don't miss your chance for a glass of wine! Romantic Checks - Feel the spark? 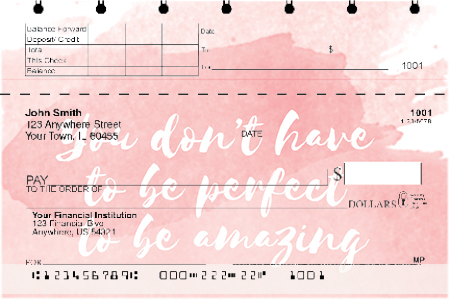 Don't miss a beat with these romantically inspired personal checks! Four expressionistic designs for four independent messages, these checks are worth a thousand words. Just don't forget to leave your number! Romantic Labels - Feel the spark? 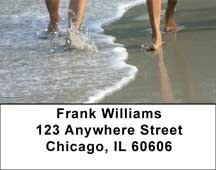 Don't miss a beat with these romantically inspired Address Labels! Four expressionistic designs for four independent messages, these Labels are worth a thousand words. Just don't forget to leave your number!